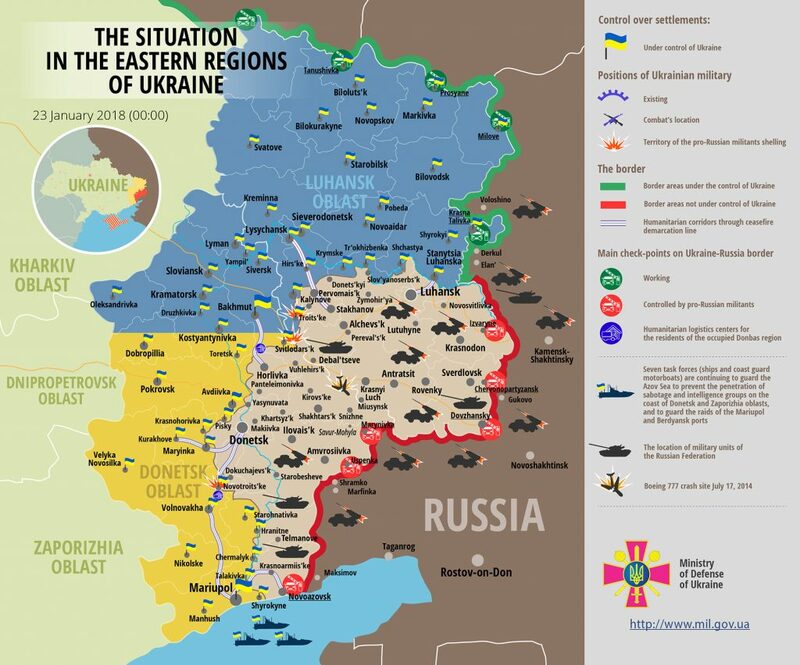 Yesterday Russia-back militants conducted six aimed attacks against Ukrainian troops, having fired forty-seven 120-mm and 82-mm mortar rounds, reported colonel Dmytro Hutsulyak, Ukrainian Ministry of Defense spokesman on ATO, at a press briefing at Ukraine Crisis Media Center. In Luhansk sector, Russia-backed militants committed five attacks against Ukrainian positions. “Starting 08:00 and over the following three hours Russian proxies committed four attacks near Luhanske using 120-mm and 82-mm mortars and grenade launchers,” elaborated colonel Hutsulyak. Overall, the enemy fired 20 mortar rounds here. At night, over one hour, Russia-backed militants fired 12 more 120-mm mortar rounds near Troitske. Ukrainian troops returned fire using grenade launchers. In Donetsk sector, Russian proxies attacked Novotroitske at 17:00 having fired fifteen 82-mm mortar rounds against Ukrainian positions. “Press center of the ATO Staff reports that during the attack near Novotroitske Ukrainian troops spotted the militants’ aimed attack against their own positions near Dokuchaievsk,” the ATO spokesperson said. Unfortunately, at 08:00 one Ukrainian serviceman was killed in action near Luhanske resulting from a hostile attack involving mortars and grenade launchers. Report on the military developments as of January 22 is available here. Interactive data on the shelling: chronology shelling chart and the interactive map.